We had a thread kind of like this but it was merged in with the Spring Game thread so thought we'd make one. We sit at 10 commits right now and I expect us to at a max take 3-4 this summer if they present themselves. Who do you guys think is next? I think its Doherty. If offered. You could put Scott Frantz, Adam Holtorf, or Grant Schmidt into that category as well. Jackson Perry, Aaron Williams, and Marquise Doherty are all names that got some buzz around the Spring Game, but nothing yet. If any of them come back for BRW, consider them locks. Some hints on another board that Marquise Doherty might be really close to pulling the trigger or will at BRW. Assuming the source is an mother board with some inside leanings, but not sure. Ya I saw that on Huskermax. No one with Williams??? I'm sure I remember someone - and that someone could have been ADS - say they thought he was next. Is there another thread I'm missing? I'm thinking Hunter Dale is next. Without stepping foot on campus? Isnt he coming up for BRW? So is Doherty who is supposedly close and might commit on site. I wasn't aware of that. If we really get him up here that is huge, but we'll see. With BRW looming I think we will pick up a player or two at the camp. Still sticking with Doherty as one, I think that is why in a recent interview Dale said we hadn't talked to him in awhile. I could also see either Franz from Kansas or Holdorf (sp?) from Seward committing on spot if they earn an offer. Hopefully a lot of questions will be answered for the coaches following the week(s) of camps and they can offer the kids they like best. I hate that so many solid kids will fall through the crack this year. Could be a big year for SDSt, NDSt, Wyo, and Ohio as a result. I say either Doherty Saturday or CJ Johnson next week at camp. Edit: With Doherty not going to be here, I definitely think CJ on Monday. I think CJ Johnson is a pretty common and good thought. I would even guess it will probably be tomorrow. Another name to watch is Scott Frantz to see if he gets an offer, like CJ he would possible commit very shortly after. For those don't know Frantz is an OLine kid from Kansas that is a low 3 star. Has offers from Minnesota, IowaSt, Miami, KU, Kstate, Mizzou...but wants an NU offer. Knows Christian Gaylord. Good prediction, like you said between Dale not visiting and Sunderland waiting till signing day Doherty might benefit. EDIT: Btw 247 has in wrong in their link for him...Mirko is from Florida, not South Bend. I think he may be from South Bend but is going to the academy high school in Florida. Oh gotcha, makes sense. I guess that could help our case. Why you gotta bust my balls? I rarely get these things right and today is my day! 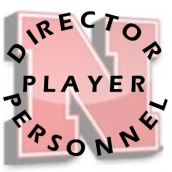 So 247 shows the Huskers offered a SDE from Lakeland, FL on 5-19-14. He picked up a crystal ball prediction for us yesterday. Made a profile for him. Thanks. Does anyone pull the trigger tomorrow? Seen a few reports that speculate the DE Reuben Jones is the most likely. That would be nice as we need help at DE. It would be great if Lamar Jackson did but I'm not sure about him. A couple reports that think he's close to picking us. Kind of a cop out since my last pick hasn't done anything but I think we get Morgan tonight. Actually, I think we got him last Saturday. He's just announcing it tonight. So there have been some predictions over the last couple of days for a few recruits. Does anyone know when they plan to announce? As far as I've seen, no dates have been set. Reuben Jones is said to be "close" to a decision. Reuben Jones said he has been planning a visit to West Virginia, but he is starting to think it could be a waste of time. If that is true, I could see him making a decision soon, since he already has his mind set on Nebraska or Michigan St.
Jones has picked up a couple Crystal Balls in the last couple days as has Saleem Brightwell with Mykeiti Williams getting flooded with Husker predictions. Might have a fireworks show coming up. Hopefully we can flip Barry from KSU this weekend on his OV. Jones looking elsewhere I would guess.